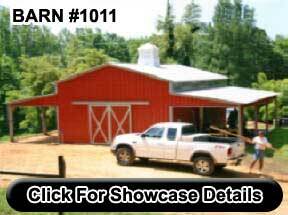 ﻿ Barns, Garages, Sheds, Utility Buildings & More. 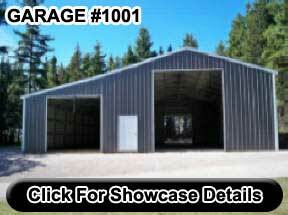 Affordable, Strong Steel Buildings Built On-Site. ONE LOW PRICE WITHIN 30-60 DAYS! 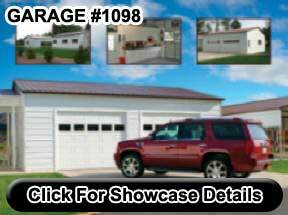 Our Quality Steel Garages, Barns, Workshops, RV/Boat Ports and Storage Buildings are built on site, strong and durable and will last for many years. In fact we have available a 20 year limited warranty. We believe in our product and we stand behind it. Parker Steel Buildings is family owned and operated and will give you the best personal service available. We have Quality Steel Buildings for all your special needs to protect your Cars, Boats, RVs, Equipment, Tools and Livestock. Just click the “Idea Catalog” Button. 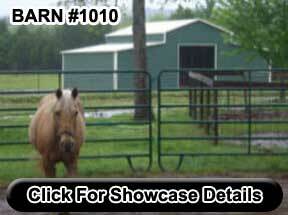 With almost 200 Steel Buildings pictured you are sure to come up with an idea or two. 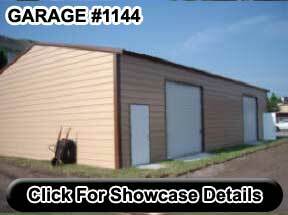 It is our goal to provide you the best Quality Steel Building for the best price available. Call Us Today at 863-845-5402 or 800-785-9306 or Email us at ParkerSteelBuildings@yahoo.com. ENGINEERED UP TO 180 MPH WIND LOADS. BUILT STRONG & DURABLE! MADE IN USA! Parker Steel Buildings offers Quality Steel Garages, Barns, Workshops, RV/Boat Ports and Storage Buildings to meet your needs. 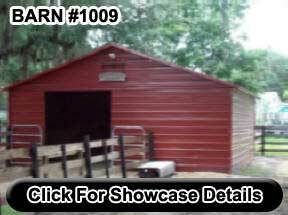 Our Affordable Steel Buildings can Protect your Cars, Boats, RVs, Equipment, Tools and Livestock for many years. Permitting, Site work and Concrete Services are available. Call Parker Steel Buildings 863-845-5402 or 800-785-9306. Large Workshop for multiple vehicles and storage. Various styles, sizes and colors. 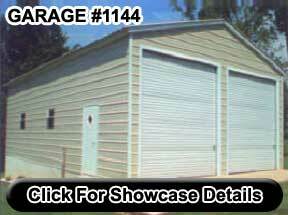 Large Garage and Shop or Warehouse sizes from 24×31 up to 60×150 many options and colors available. The Vertical Roof Style is our Best Steel Building Roof System. It is a strong frame designed roof with the panels installed vertically. The corrugated ridges in the panel runs from the ridge cap down to the eave side of the building. This allows dirt, trash, water, and snow to exit off to the eave side of the building. Water and snow will tend to lay longer on the horizontally sheeted roof like the boxed eave and regular style until the water evaporates or the snow melts off. Steel panels on home and business roof-tops are always installed vertically. The roof bow/truss has a welded transition via a steel pin on to the legs. This unit has vertical roof trim on the sides and ends for a nice finished appearance as well as extra hat channel steel in the truss system to support the vertical panels. It adds strength to the building structure. The Boxed Eave Roof Style is one of our most popular selections for affordability. This Frame Designed Roof has the panels installed horizontally. The corrugated ridges in the panel run from front to back or end to end. It is an affordable approach since it does not have the extra hat channel steel and ridge cap that the vertical roof has to support the vertical panels. The roof bow/truss has a welded transition via a steel pin onto the legs. The underneath eave sides of the roof bow or truss is covered with boxed eave trim for a nice finished appearance. 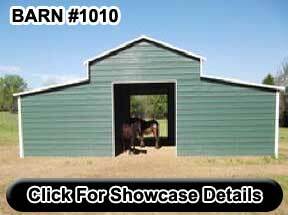 Our Regular Style Roof system has rounded roof ends which are sometimes preferred for Horse Barns. The radius bend frame design has the panels installed horizontally. The corrugated ridges in the panel run from front to back or end to end. The regular style roof is the most economical unit since it does not have the hat channel, the ridge cap, the eave-side trim, nor the welded transition from the roof bow/truss to the leg.